This dish to some is fattening and I don’t deny that. Whenever I eat Braised Pork Belly Bun (Kong-Bak-Pau), which I called it Chinese Burger, I always remove the skin and fats, just eat the lean meat. So, what’s the fun of it many ask me. I just don’t want to add more weight to myself. 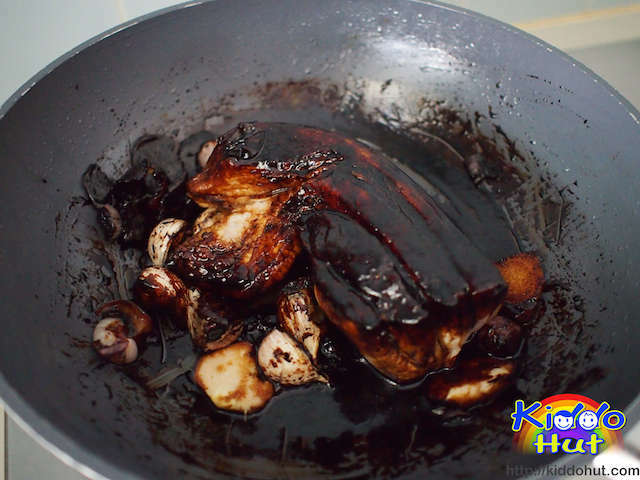 Few days back, my mum decided to cook the Kong-Bak with her usual agar-agar (guesstimate) of the amount of ingredients. So, to get the quantity right, I did another batch under her supervision yesterday. Usually, braised pork belly recipe called for star anise and cloves. Since we have added the five spices powder, we forgo these 2 spices to avoid overwhelming of spices taste. Alternatively, you can replace the five spices powder with these spices. It takes approximately an hour to braise the pork belly and water is added by batches. 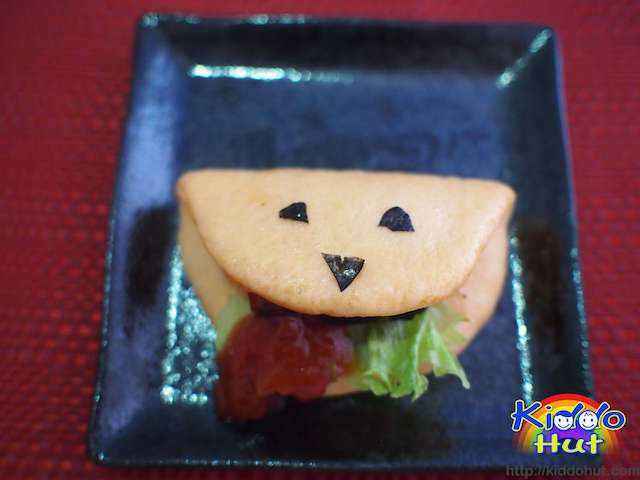 The quality of the dark soya sauce affects the taste and amount of salt to add. 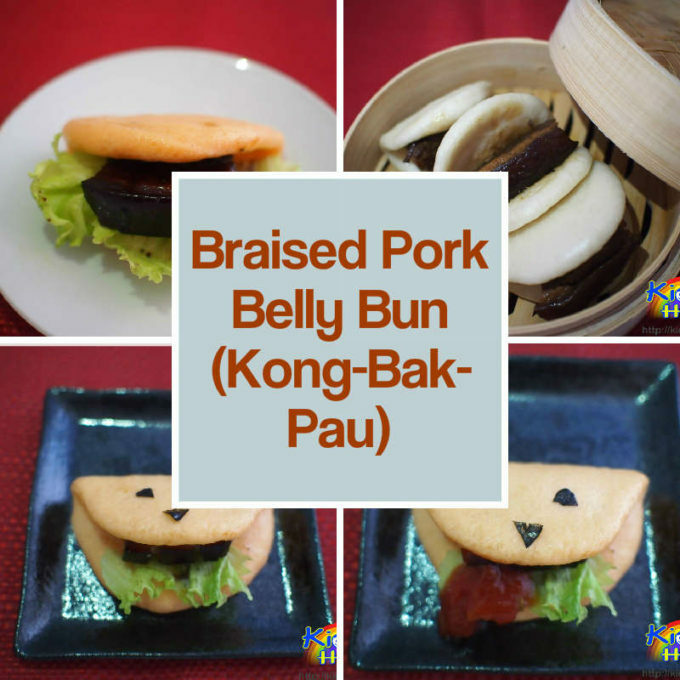 Here is my mum’s Kong Bak Pau recipe! 1. Stir fry the shallot in cooking oil till fragrant. 2. Add garlic and stir fry. Then add pork belly followed by ginger till ginger fragrant. 3. Add the dark soya sauce then the spices and five spices powder. Stir fry for 5 minutes. 4. Add 200ml of water and braise the ingredients for another 5-10 minutes before adding another 200ml of water. 5. Cover and let the pork belly simmer for an hour. 1. Put the instant yeast into 20ml lukewarm water, for 5-10 minutes. 2. Sift the flour, then add sugar and yeast mixture. Mix well. 3. Add water bit by bit, try 50ml and add 5-10ml each time. You probably won’t need to finish the whole 160ml of water. If the dough becomes too sticky, sprinkle some flour until the dough doesn’t stick to your hands. Add 2 tsp of cooking oil and continue to knead for approximately 10 minutes or until the dough doesn’t stick to your hands. 4. If you are using machine to knead, you can let the machine knead for 10 minutes. 5. 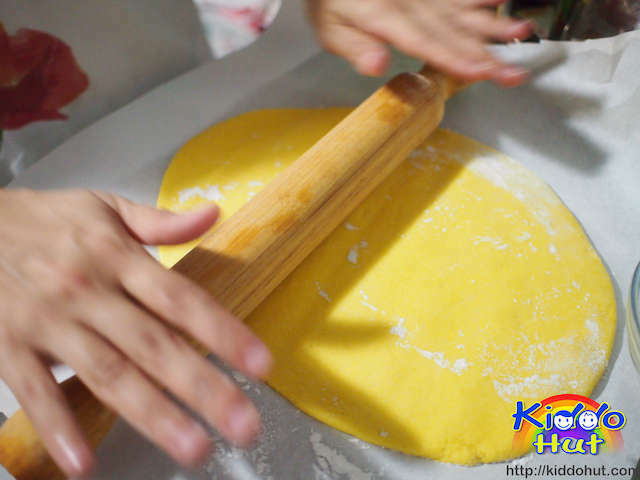 Remove the dough and hand knead for another 8-10 minutes, just to ensure the dough is not too wet or dry and has a stretchable texture. 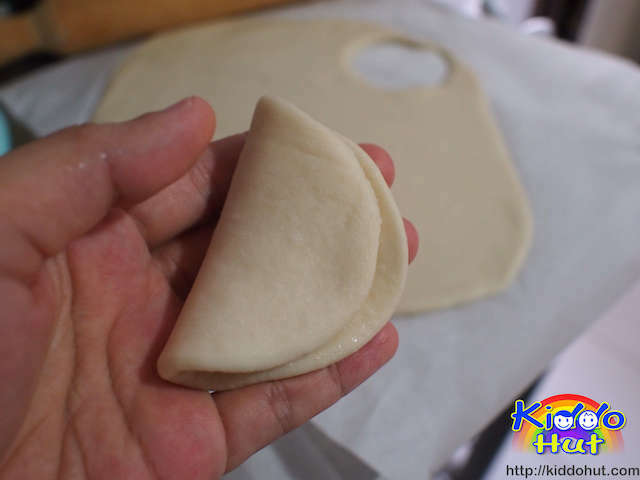 The dough shouldn’t stick onto your fingers, you can feel that the dough is still wet but not very wet and has a spongy-kind of texture. 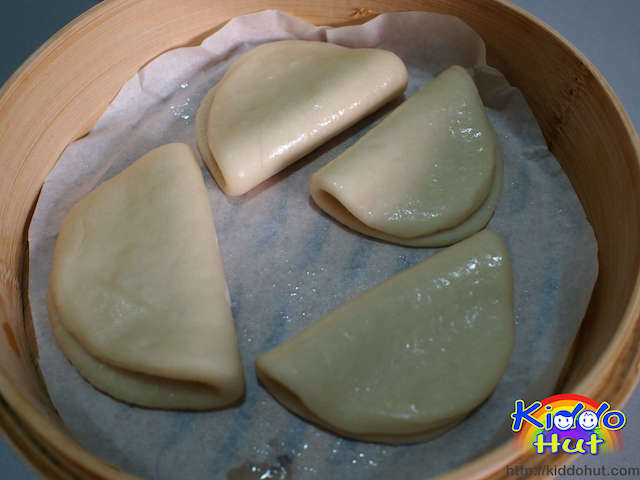 One way to check is to throw the dough into the mixing bowl from the mouth of the bowl, and you can remove it from the bowl easily without the dough sticking onto the base of the bowl. Remember to dust some flour on your hands if the dough is still sticky. 6. Proof it for an hour. Cover the bowl with cling wrap. Leave it in the warmest corner of your kitchen since we are in Singapore, any corner is warm unless you have an air-conditioner switched on in the area where you proof the dough. Do have a bowl big enough for the dough to rise double. 7. When the dough has risen, punch it to remove the air. 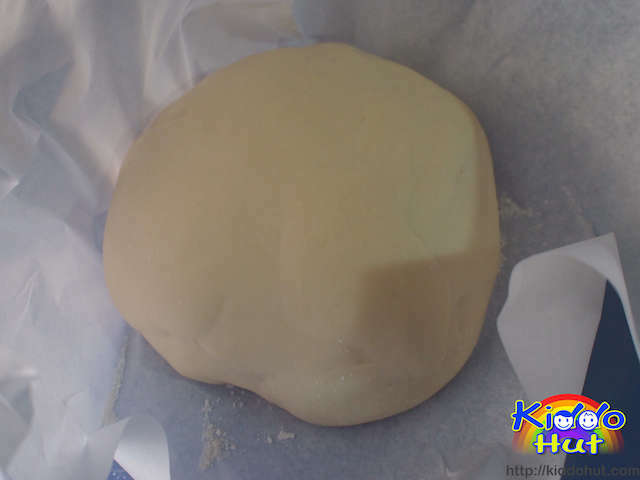 Dust some flour onto the area where you will roll the dough. 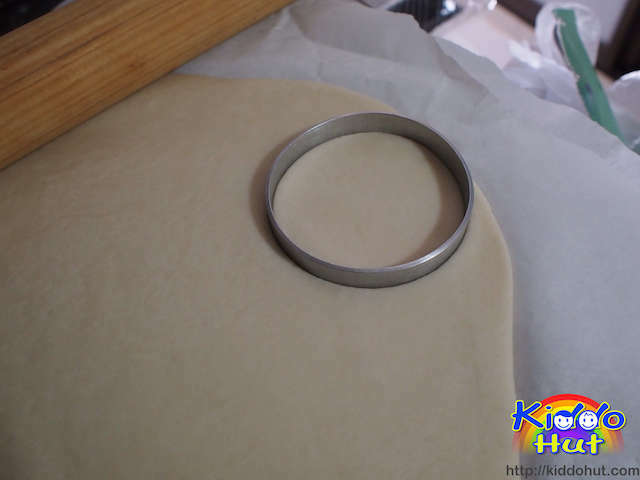 Roll the dough flat then cut out circles using the ring mould. If you do not have one, you may use a tin can. 8. 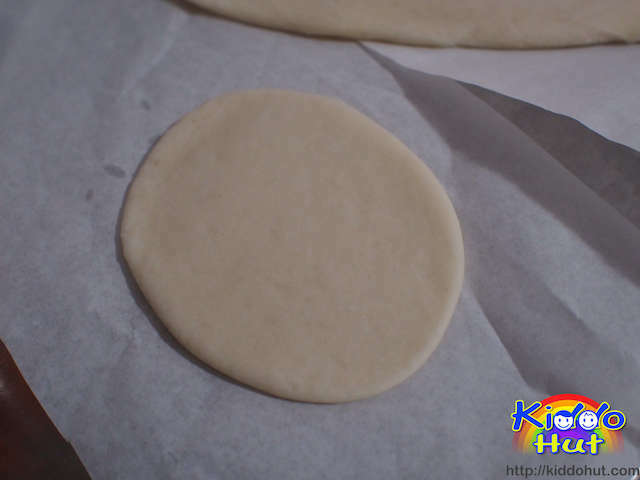 Use the rolling pin, gently roll the round cut-out dough vertically to extend it into ovals. 9. 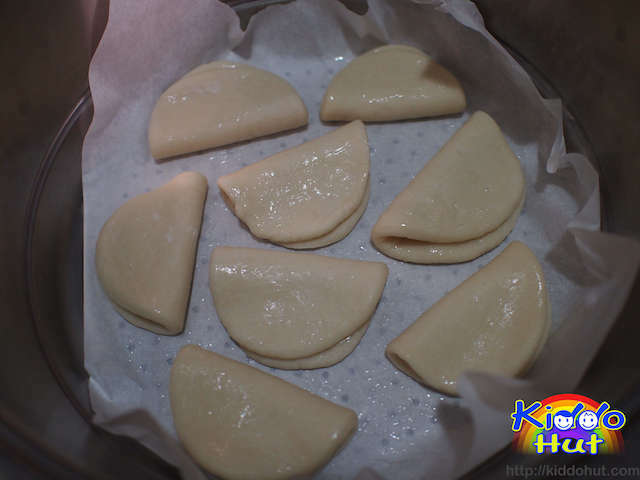 Brush very thin layer of vegetable oil onto the side of the cut-out dough facing you, then fold it into half and place it on the lightly greased grease-proof paper. 10. Brush very thin layer of vegetable oil across the top of the folded doughs. Prove all the doughs in the steaming wok for 30 minutes covered with lid. You can fill the wok with tap water for steaming. 11. After proofing, steam for 18-20 minutes. 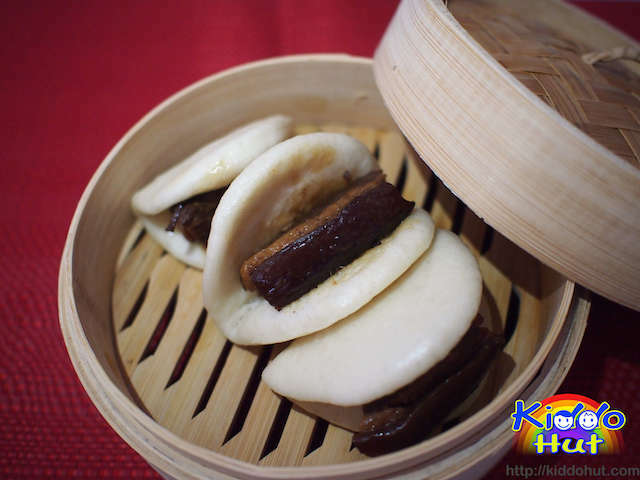 Do not open the cover after steaming as this will cause the buns to deflate rapidly and making them dense. 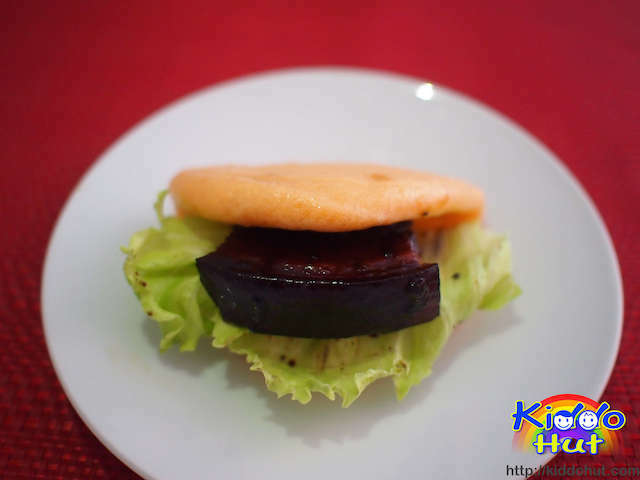 Serve with the braised pork belly and some Chinese lettuce after 5 minutes.